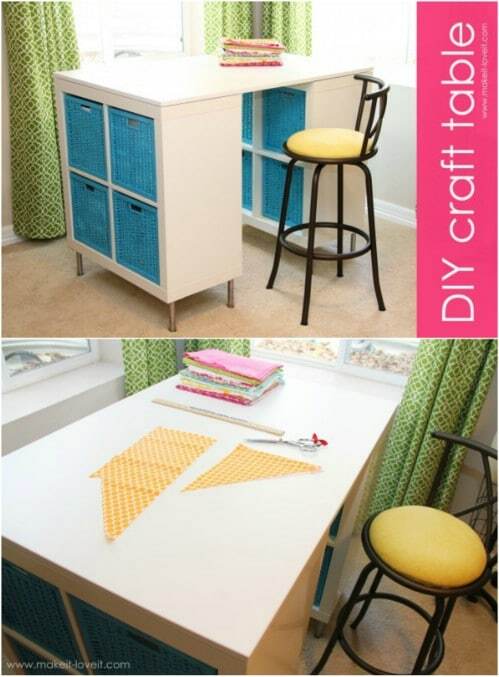 DIY your own craft table. 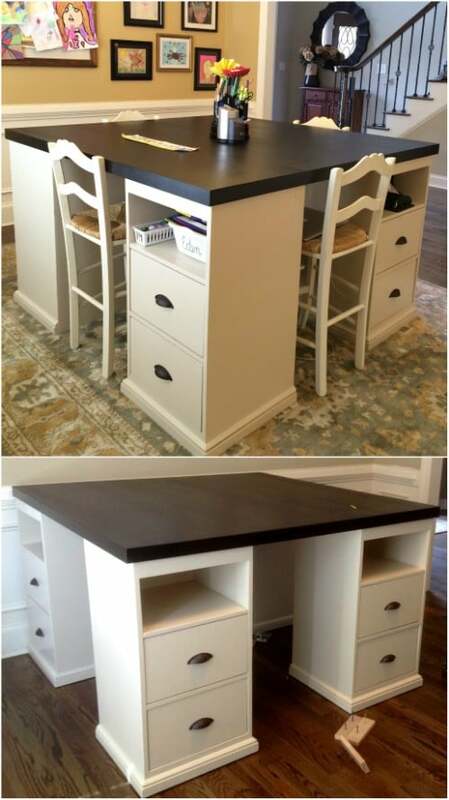 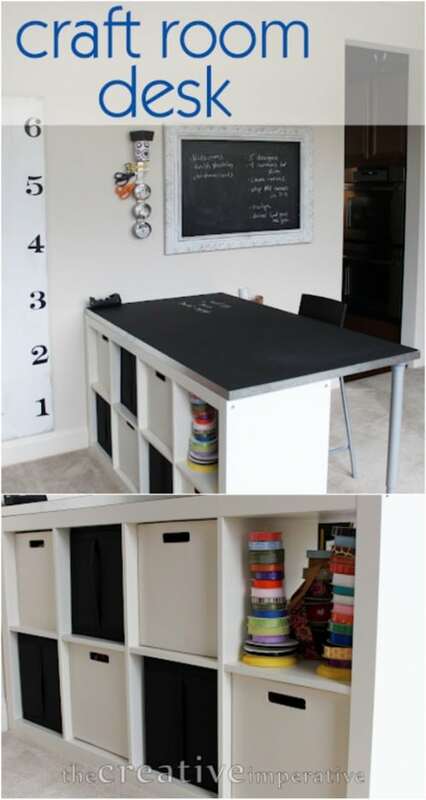 Today we share some awesome craft tables you can build yourself using these plans and tutorials. 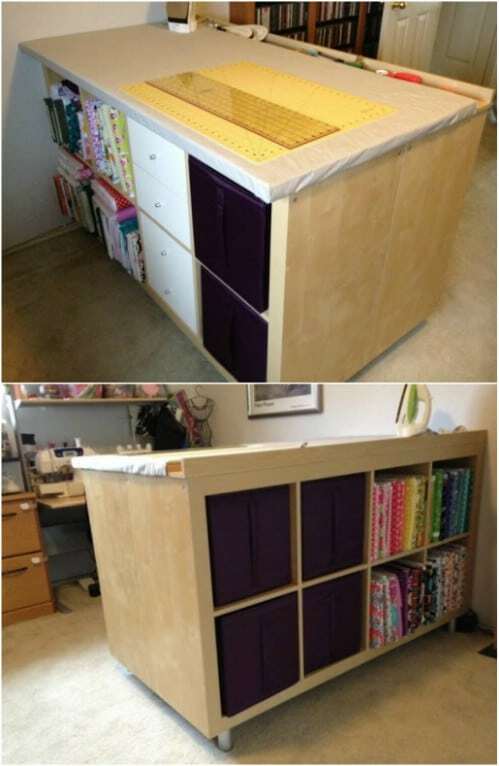 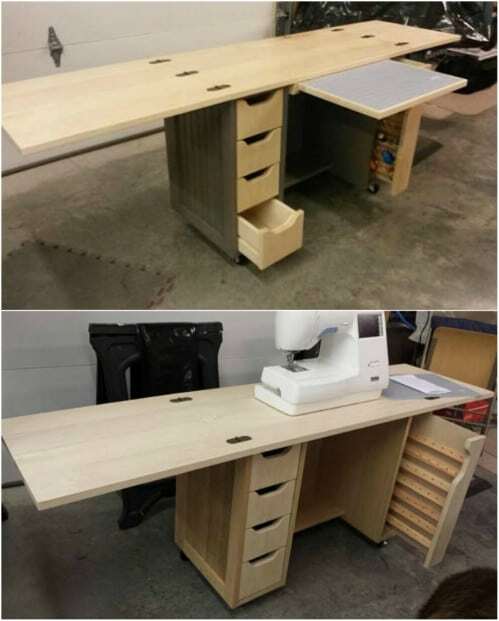 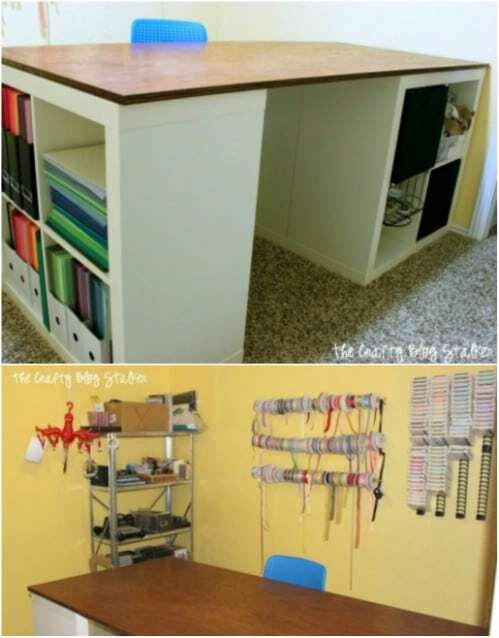 These plans and ideas will help you build your own custom craft table for your sewing room. 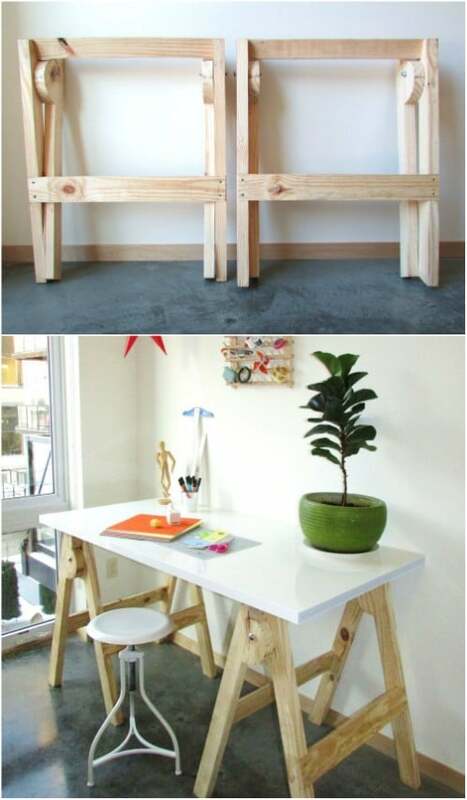 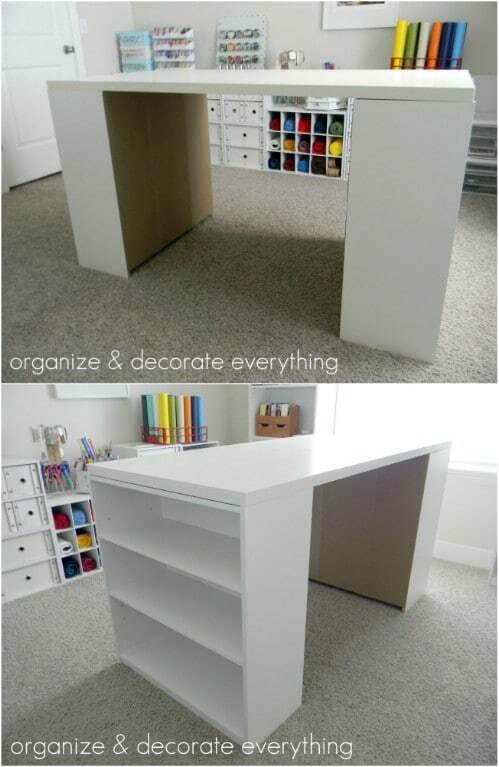 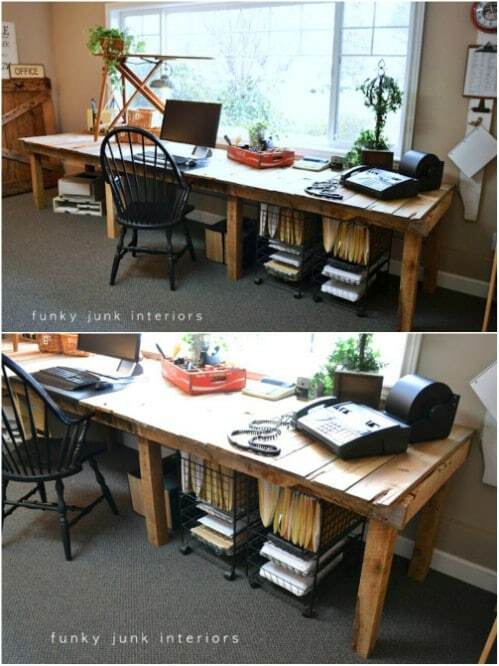 Getting a craft desk according to the nature of your work and requirement is a must. 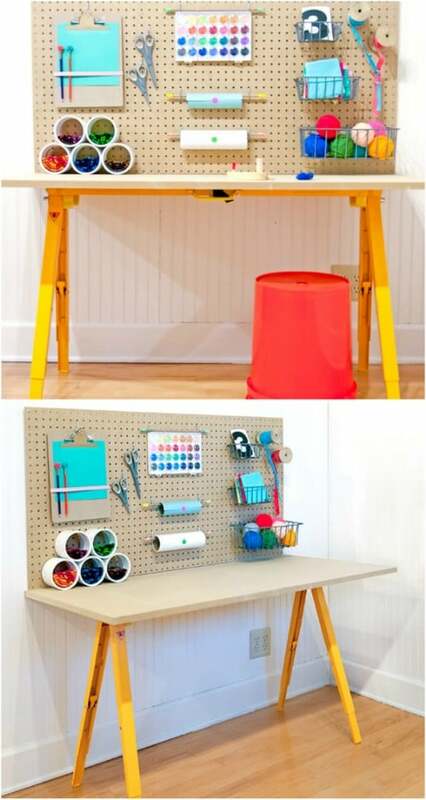 We thought we should bring you some ideas so that you can build a budget-friendly DIY craft table by yourself so as to save a few bucks as we all know store bought versions sometimes cost a fortune.